Maurice Brodzky (Editor), Table talk , 'Art and artists', pg. 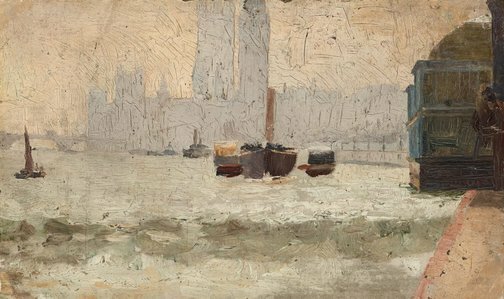 4, Melbourne, 23 Aug 1889, 4. Review of the '9 x 5 Exhibition of Impressions', with list of patrons who acquired works from the exhibition, including Professor Jenks who purchased 'Fog, Thames Embankment'. Basil Burdett, The West Australian , 'An artist's mountain retreat: How Arthur Streeton rose to fame', pg. 7, Perth, 08 Jun 1940, 7. Mary Eagle, The oil paintings of Tom Roberts in the National Gallery of Australia , Parkes, 1997, 13. Tom Roberts , Sydney, 1996, 533. 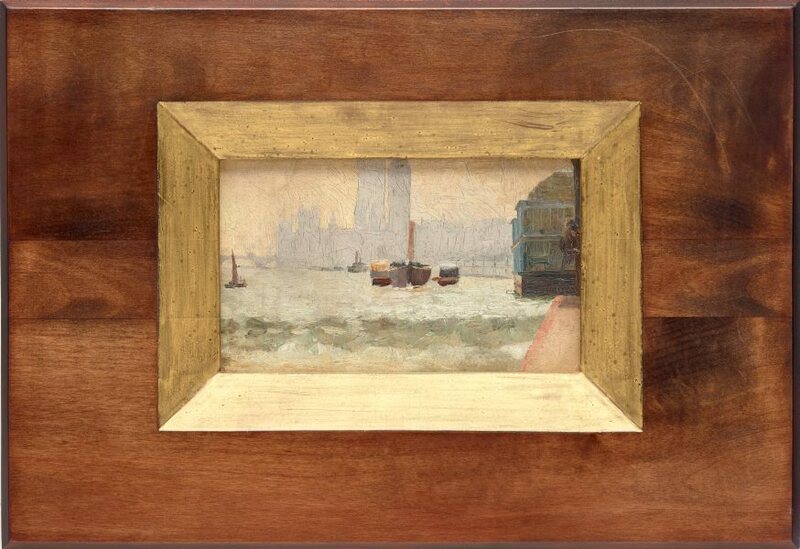 Barry Pearce, Look , 'Exciting acquisition: A tiny Tom Roberts with a big history', pg. 17-19, Sydney, Jun 2008, 17 (colour illus. ), 19. Katrina Strickland, The Australian financial review , 'Gleeson adds to his lasting impressions', pg. 7, Sydney, 11 Mar 2008, 7 (illus.). Photograph of Senior Curator of Australian Art, Barry Pearce, with the painting. A.L. Windsor (Editor), Age , 'An Impression exhibition', pg. 15, Melbourne, 17 Aug 1889, 15.